DRBA Board Director Jimmy Cunningham, Jr., is presenting the proposal, City of Pine Bluff Delta R&B Proposal, for those attending tonight’s meeting; it has been released to the press and public as well. This proposal for Pine Bluff ties in directly with the recently passed (March 14, 2017) Arkansas legislative Act 451 that designated a portion of U.S. Highway 65 as the Delta Rhythm & Bayous Highway, beginning with the fiscal year in July 2017. The stretch of Highway 65 so designated runs from Pine Bluff to the Arkansas-Mississippi border. The Delta Rhythm & Bayous Alliance sought this designation as part of a broader plan for tourism-based economic development in the region. The targeted region extends from Pine Bluff, Arkansas, down to Lake Providence, Louisiana, with Bayou Bartholomew and U.S. Highway 65 serving as western borders, and then toward Greenville, Mississippi, to the east. The plan draws on the region’s notable heritage in art, music, literature, film, and television. Leading figures who contributed significantly to these art forms have ties to the region. The proposal for Pine Bluff presented this evening — and linked above — explains 14 key steps that would help Pine Bluff take the opportunity to develop tourism based on this heritage. It also designates Pine Bluff as one of two anchor cities in the greater regional plan; Greenville, Mississippi, would be the other. For DRBA’s overall vision statement, link to this next pdf file. 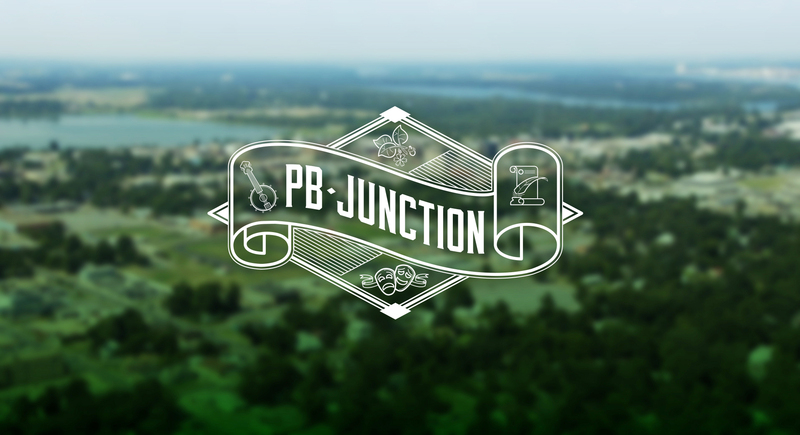 This document describes the vision and foundation of the Delta Rhythm and Bayous Alliance and reflects other posts here on PB Junction.